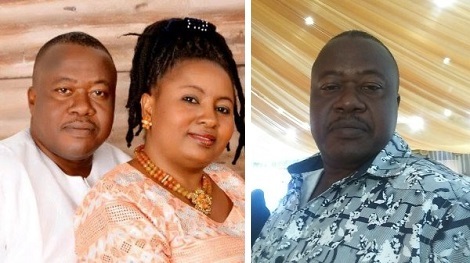 A lady has called out her brother-in-law accusing him of causing the death of her sister with his nonchalant attitude. Austa Oluoma-Njoku took to Facebook to call him out saying there won’t be peace for the wicked. I HAVE A STORY TO TELL. A TRUE LIFE STORY ABOUT THE DEATH OF MY SISTER, THE HEART OF MAN IS TRULY WICKED. Paul Danjuma Okpo your wife, my sister Georgina Oluoma-Okpo died since 15th of October and until now you haven’t made a post about it, you are not mourning her, you and your people didn’t attend the burial. What are you trying to hide? What are you scared of? Don’t you want them to know the part you played that led to her death? Paul Okpo since you have blocked me, remove all the pictures of my family members on your wall. Stop posing with what isn’t yours. On the 6th of October 2018, Paul Danjuma Okpo at few minutes to 7pm put a call to one of my sisters saying, “see how your sister(Georgina Oluoma-Okpo) is sleeping, is this what she should be doing? She can’t even come and congratulate me for winning the primaries, is this a proper time to be doing this(IVF)? E be like say dem go comot am o”. He also said a whole lot of things. He then went ahead and took a picture of her(Gina) and sent to my other sister. She pleaded with him to be patient with her saying ” na so women dey do when dem need attention from their husband” just to calm him, thinking it was his usual rant, cos he calls her a lot like that to lay complains. She called back later about 8 and 9pm to check on her to know if she had woken up and also to know if she was better but the husband said she was still sleeping that the doctor asked her to rest, that she will be better when she wakes up. At 10:55pm, she called again to check on her, he then said again that she was still sleeping, that was when my sister realised say water don pass garri. She screamed and begged him to take her to the hospital that it was abnormal and upon close examination of the picture he sent earlier, she noticed that Gina looked weak in the pic, pain and weakness was writing all over her face. She begged him over and over again, even her husband tried to talk to him over the phone but he shooshed him saying “I’m not in the mood for that now”. To worsen it all, he(paul) said Gina had even vomitted and peed on herself, and he doesn’t know if he could sleep in that room that night. He claimed 11pm was too late for him to go out. And that he was tired. That he would take her to the hospital the following morning. Then he switched off his phone. On sunday 7th October 2018, at about 4am, my sister called again to check on her but Paul’s phone was switched off and so was my sister’s(Gina). She kept calling at intervals until she got him around 5am, but paul hadn’t left for the hospital, he said he wasn’t going till 6am. Paul took her to the hospital later and treatment commenced, then he left and went to a “more important event”. He went for ADC presidential rally abi na Congress. Several calls were put to him that morning to check on her but we were given the impression she was been taken care of. My sister even volunteered to travel to Abuja to look after her but he told her not to worry, that his brother was with her. Because of the continuous “disturbance” like he tagged it, he turned off his phone and went straight home after the rally. When Gina’s condition got worse and the hospital needed her to be transferred to National hospital for intensive care, Paul was out of reach as his phone was off, the doctor had to put on Gina’s phone and started calling people on her dialled list, at 2am of Monday 8th they got us, that was how we knew her condition was critical. At about 3am we were able to get a relative in Abuja, and she was at the hospital at about 5am. So they started processing the document for transfer, before they finished, paul arrived. So both of them took her to National hospital Abuja. She was then put on life oxygen as she couldn’t breathe on her own. The following day, we sent another person to go support my aunt that was taking care of her since it had become clear we couldn’t trust paul anymore. News got to us that her kidneys were failing, it was such a shock because she had never complained of Urinary track problems before, the doctors say she hadn’t passed urine for days. This is the same person we were told peed on herself 2days before. Hmmm. A dialysis was needed to be carried out on her but reasons best known to paul and the hospital( I say so cos we couldn’t reach the doctor treating her, we were told to ask the husband for any information we needed. I still don’t understand why) . Dialysis wasn’t done till 2days later when another of my sister and my brother visited the Hospital, it was like they needed serious push to take her case seriously. After the dialysis she was moved to another intensive care unit. We weren’t allowed in until visiting hours or few times when we were called in. She had started passing urine by now and we were hopeful she would get better. The following day, we were told all other organs were shutting down, heart, lungs,liver,kidney,bladder. I mean how is that even possible? Someone who had dialysis in about 24 hours and now all other organs were shutting down. Then she was put on life support…. You live in an apartment she pays for, eat the food she provides, drive her car, yet you refused to take her to the hospital. Georgina Oluoma-Okpo lived her life for you. Yet you turned your back on her when she needed you the most. Your brother Henry Okpo and his pregnant wife were with her, they were practically living in her house. Yet they couldn’t help her. You said so yourself that she was the one giving you hope, supporting you financially, morally and otherwise through the politics you joined, yet you chose politics over her..
She has been looking for friut of the womb for so long, just when it happened, we lost her and 2 babies. No peace for the wicked. Her Friends were calling to know how she was, you kept telling them she was sleeping, doctor wants her to rest even when she was in coma, even after she died. You turned one of her friends to your spy, calling to know our plans, pretending she was with us. Even sent her to our village a day before she was expected to arrive, just to help you snoop. Tina i hope you feel good about yourself now, Gina was your friend, she trusted you, she loved and looked out for you. This is how you pay her back.